Happy Tuesday mamas! 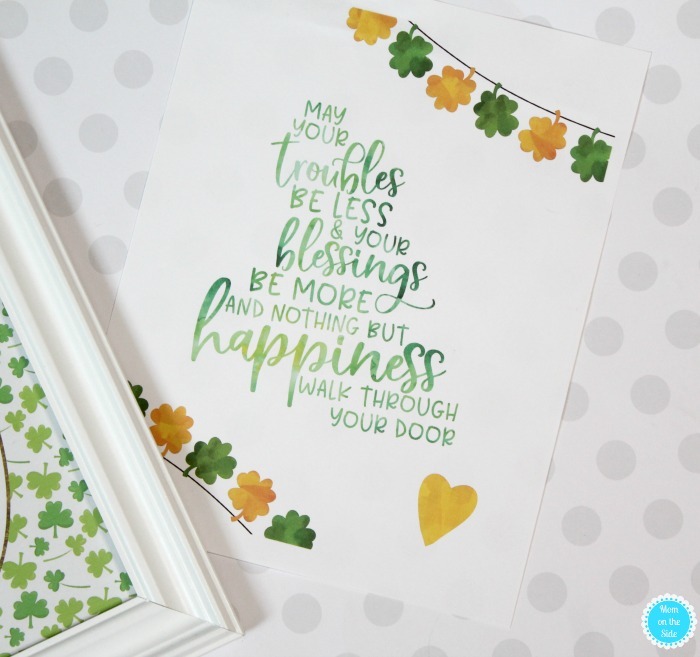 Today I’m sharing two free St. Patrick’s Day Printable Wall Art pieces if you want to put up a little something for the holiday. While I love hiding candy coins for a St. Patrick’s Day Scavenger Hunt, I don’t normally decorate a lot for St. Patrick’s Day. This year, the twins are learning about it in school so that changes things. They saw me put up an Easter sign and asked why I don’t have anything out for Leprechaun Day. Obviously, we still have more learning to do about the holiday lol! I told them I’d print something off to hang up and dig out the one shamrock decoration I have. 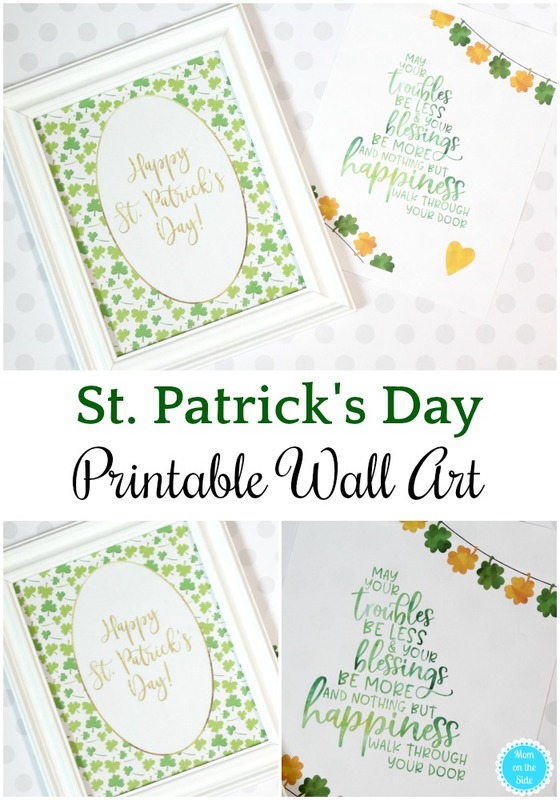 There is still some digging to be done but I got not one but TWO St. Patrick’s Day printables to hang on the wall. Because of course, each twin had to have their own to hang. 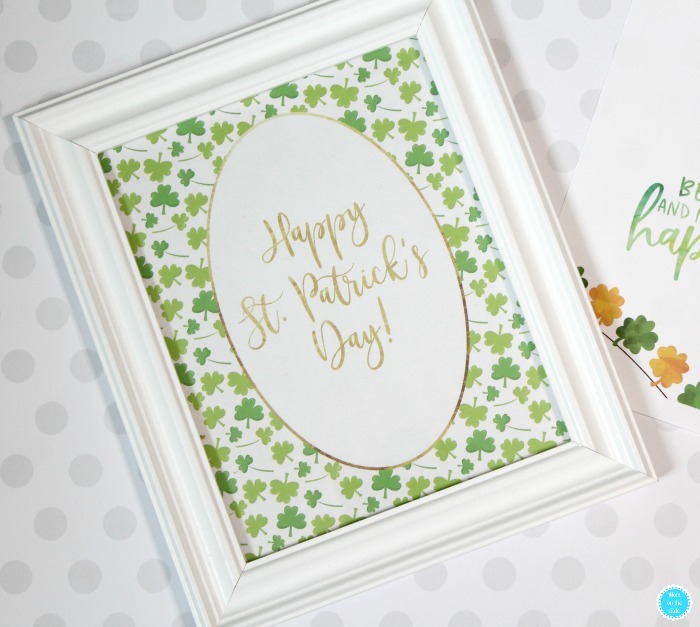 You can grab one or both of the printable St. Patrick’s Day Wall Art below. They fit inside of an 8X10 picture frame if you want to hang them on the wall. When you’re done make sure you pat yourself on the back, stream a St. Patrick’s Day Movie on Netflix while munching on St. Patrick’s Day Milano Cookies!